ebfblogger,a powerful blog but spoiled for me by your apparent continuing bias against Christians and whites.Not all whites you know are prejudiced against non-whites and other religions,although it is fair to say that Islam is the least liked because of its supremacism and deep suspicion of Shari’a.In addition of course,Holocaust denial in the muslim world has assumed new dimensions since the December 2006 International Holocaust Denial Conference in Tehran organised by former President of Iran, Mahmoud Ahmadinejad. 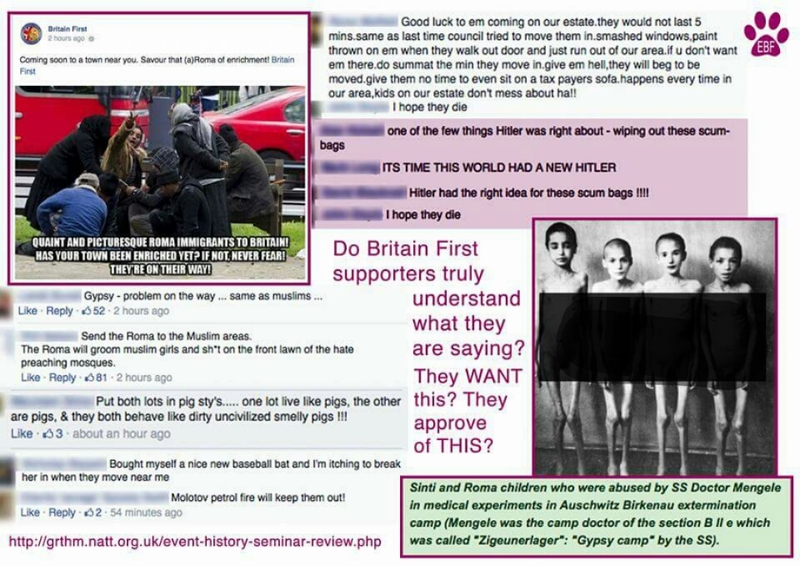 Even a horrible group like BF has black and brown members plus Sikhs and Jews who have for centuries been targets of Islamists and see BF as their friends. 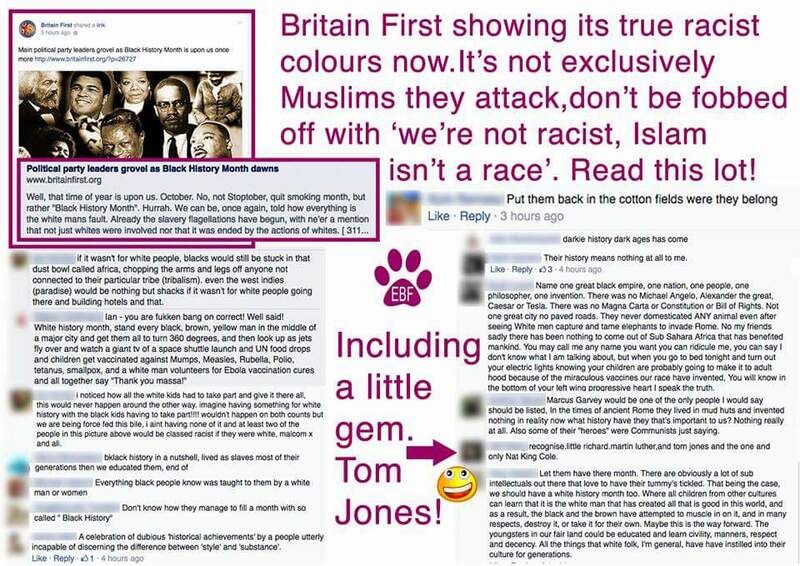 However, it is an obvious tactic that BF recruits them merely to stave off claims that it is racist. I really don’t understand how you can think I’m biased against white people or Christians, David. As a white woman brought up in a Christian country I’d be very strange to hold such prejudices. Perhaps your own inability to accept criticism of white Christians reveals your own ‘WASP’ prejudices rather than any of mine. ebfblogger,my comment is rather late but pertinent to your blog I believe. Islam is an ideology with an element of religion thrown in and muslims do not have a choice as they are BORN muslim.Considering that leaving Islam is generally accepted as a sin deserving a death penalty I am amazed how many of them do commit apostasy. I am retired now( being a 79 year old) and finding this splendid site has given me much pleasure and stimulated my aging brain. I do not agree with the content or tone of some of your blogs but you are a formidable crusader(OK?) for fairness and balance in society and a staunch opponent of extremism of various shades. Thank You. You don’t need to flatter me, David. Any non-abusive posts will get published. But please don’t call me a crusader. I think the Crusades were an awful chapter in history and those who perpetrated them have nothing in common with any decent people. ebfblogger, I may not NEED to flatter you but anyone with any sense of a person’s worth would understand and applaud your dedication to the cause. Anyway,if it gives me pleasure to commend you would you object to it from an old man? For the life of me, I cant figure out how these pigs are able to spread their filth via facebook. 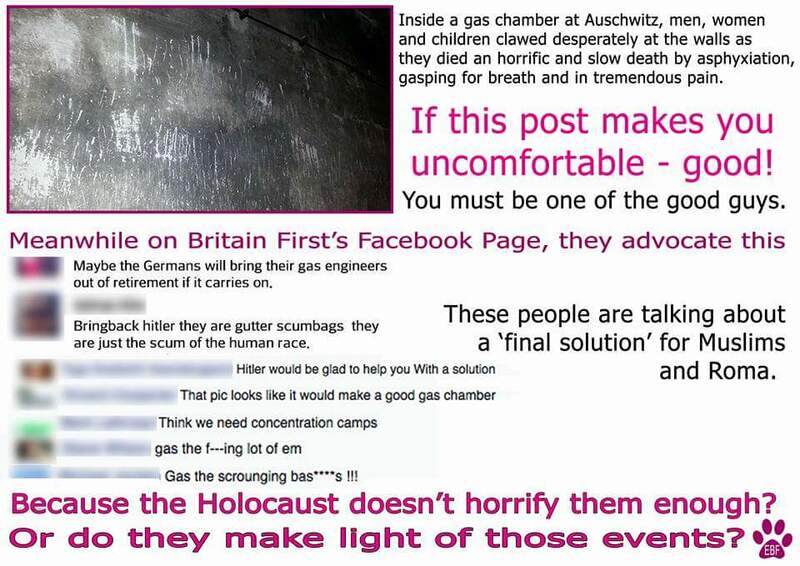 FB has banned mothers for posting pics of their babies nursing for crying out loud, and they allow this? One thing I would like to see, if possible-can you put the original date of their posts with your comments? I have many friends who unknowingly share posts from BF without realizing what theyre doing, and showing what BF are doing today (vs some old posts) would hopefully wake them up! (the BF fb page is very active and posts tend to get lost easily). 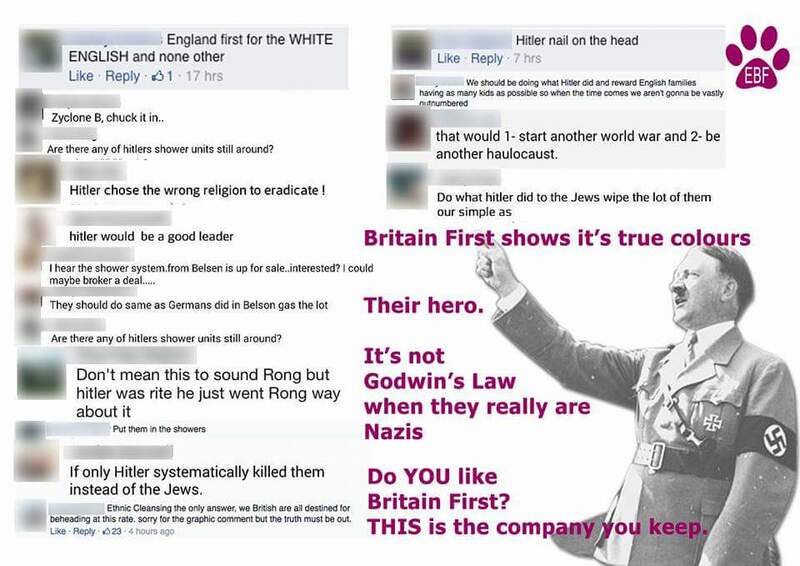 It’s simple, Britain First are allowed to continue their hate speech because they pay Facebook for advertising and marketing. The average mother posting a picture of their child nursing does not. That’s how it seems to us as well. Money talks, unfortunately. 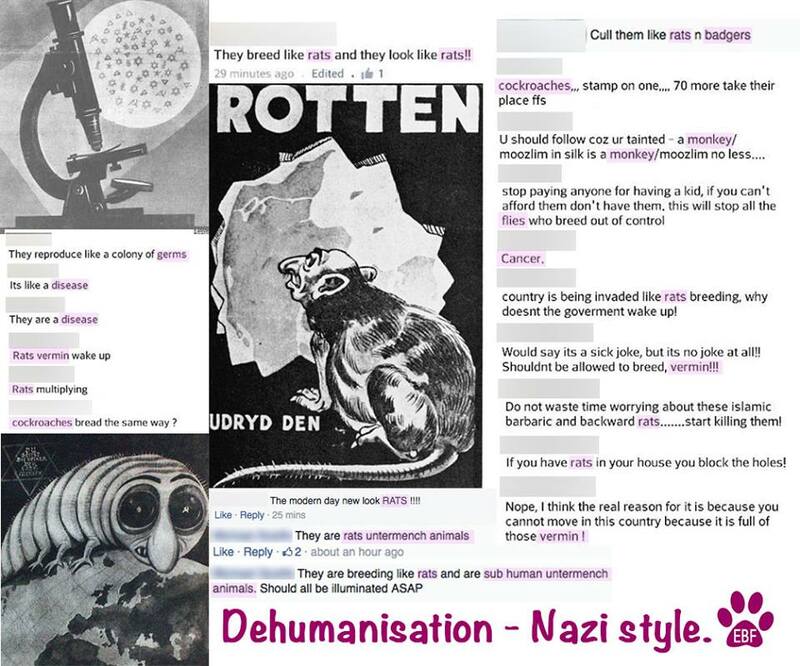 As I’ve always said: they force our hands playing the race card sometimes, because it’s biffers who are the ones that imply race when they start referring to muslims as “pakis”, “niggers” and a plethora of other derogative terms and then demanding that they should “piss off back to their own countries!” – in unintelligible english, nach. I would say that no, hostility towards Islam in itself isn’t racist, but i think that most intelligent people might consider an irrational hatred of over 1.5 billion people purely because of a superficial and prejudiced knowledge of their religion, might be construed to be a little worse than simple racism. You might find this blog from the archives interesting Bob. It’s about BF’s obvious racism. I didn’t mention BF. 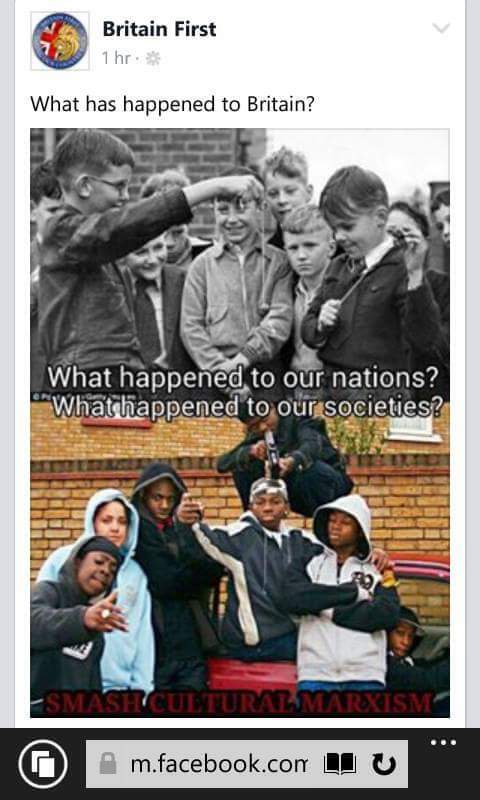 As you say, i think their inherent racism is obvious for anyone to see. I was just making a general point. Oops. Sorry, Bob. I think I meant this one.